This entry was posted in direction SE, Donegal, number on December 12, 2012 by admin. The base of the hut is still, sort-of, visible on ground there but not from aerial. What’s also of interest is the foundations of a signal station (suspect Lloyds but not sure) in the bottom right-hand corner of that image. I have ground level photos of the sign taken in 2012 if you are interested in posting them. 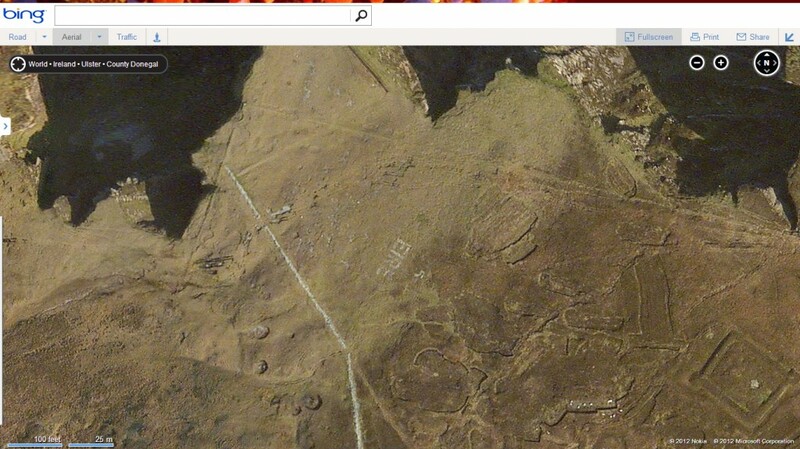 My Dad is from Arranmore and went out to them with me as the area is surrounded by bog, not all of which is stable. He told me that when he was a child in the 1950s, this was an area of the island they were warned away from as another child went wandering in the bog and died.